The 49ers officially placed offensive lineman Anthony Davis on the exempt/left squad list after he retired yesterday, tweets Aaron Wilson of the Houston Chronicle. Davis no longer counts against San Francisco’s 53-man roster. The Cardinals announced that they have released long snapper Kameron Canaday, placed tight end Troy Niklas on IR, and released safety Marqui Christian. Christian, a Midwestern State product, was a fifth-round pick in this year’s draft. The Giants announced that they have re-signed cornerback Michael Hunter. The club created a roster spot by placing Shane Vereen on injured reserve after he suffered a triceps injury. 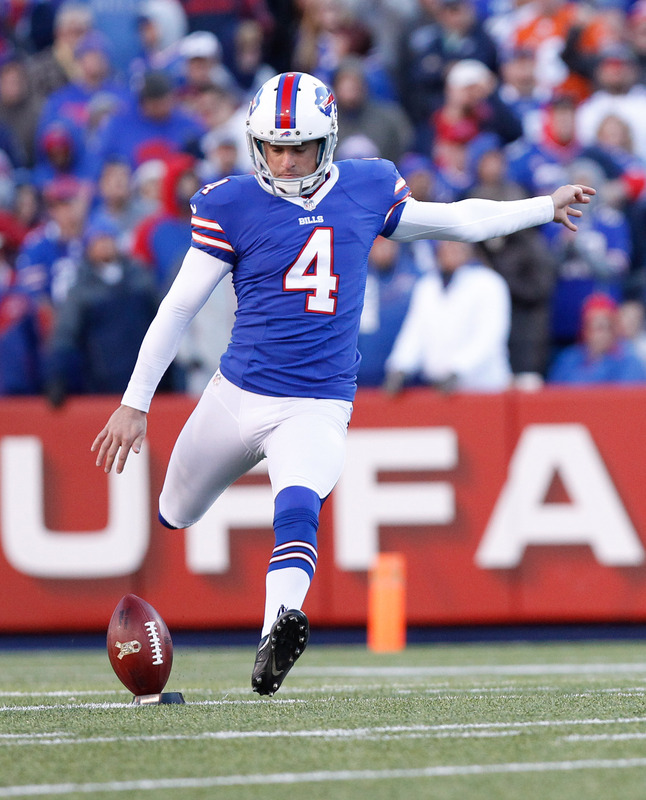 The Bills waived kicker Jordan Gay, according to a team announcement. Gay is a kickoff specialist, and he’s never attempted a field goal during regular season action. The Redskins are promoting offensive lineman Vinston Painter to the active roster, Master Tesfatsion of The Washington Post tweets. Painter will add depth to the front five while left guard Shawn Lauvao deals with an injury. The Panthers cut safety Marcus Ball, per Joe Person of the Charlotte Observer (Twitter link). Meanwhile, Defensive end Ryan Delaire has been placed on IR with a knee injury. Carolina needed two roster spots for the newly-signed Michael Griffin and Kyle Love. The Cowboys will sign offensive lineman Emmett Cleary following the long-term injury to guard La’el Collins, according to David Moore of the Dallas Morning News (Twitter link). The Saints waived wide receiver Kyle Prater from injured reserve, Nick Underhill of The Advocate tweets. The Bills will promote kicker Jordan Gay to the 53-man roster, according to Joe Buscaglia of WKBW (on Twitter). A roster spot opened up earlier today when Seantrel Henderson was officially hit with a four-game suspension by the league office. Gay, 26, has spent the last two years in Buffalo. With Dan Carpenter there to handle field goals, Gay will likely handle kickoffs if he is active in the next four games. Gay, who has been listed as a punter in the past, has had two stints with the Panthers with a Giants stop in between. The Bills are the only team to put him on the field in the regular season, however. With Gay on the 53-man roster, the Bills have an open spot on the taxi squad. 10:05am: The Bills have officially re-signed Gay, waiving safety Josh Bush to clear room on their roster, tweets Rodak. 8:41am: A little over two weeks after cutting him, the Bills will be re-signing kicker Jordan Gay, head coach Rex Ryan told reporters today (Twitter link via Tyler Dunne of the Buffalo News). Gay will be returning to handle kickoff duties rather than extra points or field goals, which are still Dan Carpenter‘s domain. In order to make room for Gay, the Bills will release a player from their roster, rather than placing someone on IR. However, Ryan stressed that the Gay signing doesn’t have anything to do with wide receiver Percy Harvin, who is rumored to be considering retirement (Twitter link via Mike Rodak of ESPN.com). There were conflicting reports yesterday on whether or not Harvin was seriously considering the possibility of calling it a career. Still, it’s clear that something is going on with the veteran wideout, outside of his hip and knee issues. General manager Doug Whaley told the media today that he’d address the Harvin situation “as soon as we get more answers on it,” stressing again that the 27-year-old is away from the team for “personal reasons” (Twitter links via Dunne). While that’s not exactly a confirmation that Harvin is contemplating retirement, the Bills aren’t trying to hide the fact that there’s something going on there besides the injuries. 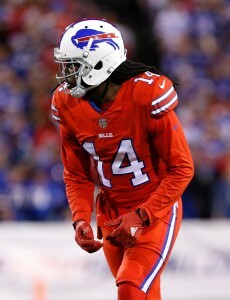 As for Gay, he’ll return to the Bills after being cut in favor of Billy Cundiff earlier in October. In the interim, Gay had a workout for the Buccaneers, but didn’t sign with Tampa Bay.